Because of a hand injury, Luke Campbell could not compete in the 2010 European Boxing Championships in Moscow, Russia. As all of the other boxers on the English National Team rest after what was, in boxing trainer Michael Kozlowski’s opinion, a very successful event in Russia, Luke Campbell continues his training with boxing coach Mike in New York City. 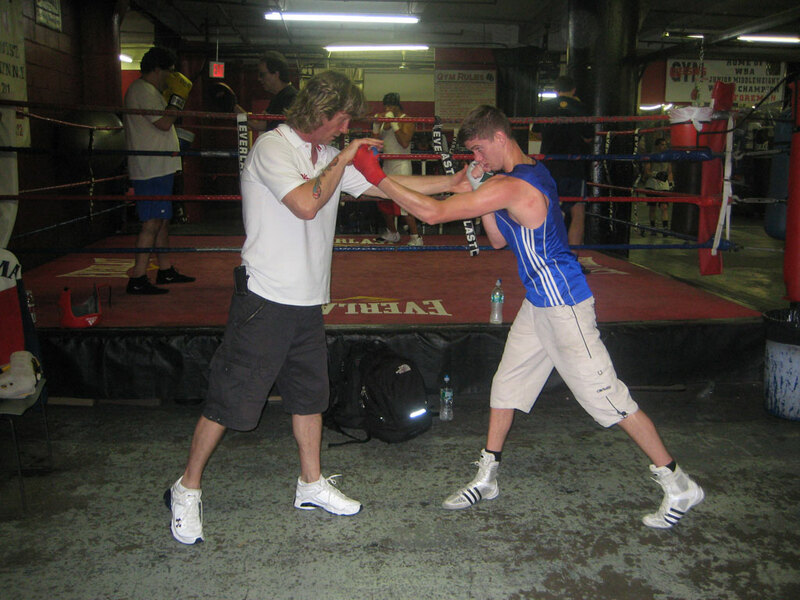 Boxing trainer Michael "Coach Mike" Kozlowski and European Champion Luke Campbell.